2017 Top Brokers Ranking Names Best Performing Commercial Brokerages - REMAX River City - Commercial | Edmonton, AB. REMAX River City – Commercial | Edmonton, AB. DENVER – RE/MAX Commercial®, part of the world’s most productive real estate network*, was ranked in National Real Estate Investor (NREI) magazine’s annual Top Brokers list for the seventh consecutive year. Less than a third of the 56 commercial real estate brokerage firms featured in this year’s ranking posted more than $11 billion in transaction volume in 2016. RE/MAX Commercial was ranked 16th with $11,035,477,508 in global transaction volume with more than 25,000 global transactions. RE/MAX Commercial ranked above prominent competitors on this year’s list including SVN International, Coldwell Banker Commercial, Transwestern, Berkadia (a Berkshire Hathaway and Leucadia National company) and KW Commercial. The division of RE/MAX had 3,034 practitioners at the end of 2016, up nearly 11 percent since 2014. The total number of countries with RE/MAX Commercial offices and divisions increased from 49 in 2014 to 64 in 2016, a 32.7 percent two-year increase. The $11 billion in RE/MAX Commercial transactions in 2016 is a 13 percent increase from 2014 and a remarkable 58 percent growth when compared to 2012. RE/MAX Commercial, a part of the RE/MAX network since 1990, is a leader in the commercial and investment arenas. Its practitioners have access to an industry-leading training system, corporate support services and a powerful referral network of more than 115,000 sales associates in over 100 countries and territories, more than any of its competitors. RE/MAX Commercial will host its 10th Annual Commercial Symposium September 17-19 at RE/MAX World Headquarters in Denver. Attendees will gain insights from industry insiders and discover the vast commercial opportunities arising from changes in population, demographics, and global investment and consumer trends. Topics will include the cities of tomorrow, current trends in retail and the multi-family boom. According to the Certified Commercial Investment Member Institute (CCIM), RE/MAX has one of the largest contingents of CCIM designees and candidates in the industry. Additionally, many RE/MAX Commercial Practitioners have served as president of the CCIM Institute. The annual Top Brokers list is created from responses to a NREI survey. Brokers were asked to provide the total dollar value of leasing transactions and investment sales in the United States and globally in 2016. The totals were combined to determine the company rankings. Firms also were asked to provide information on the number of brokers employed, revenues, total number of transactions completed and other information. 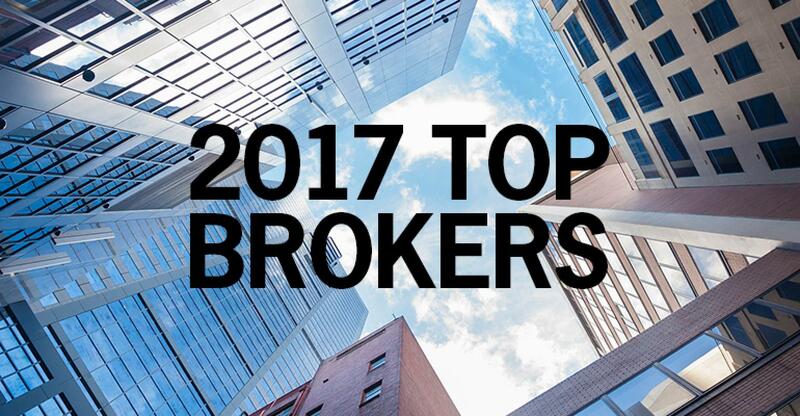 Visit nreionline.com for more information on the 2017 Top Brokers list.